The Arctic Pro hunting boot by Muck Boots is designed for the hunter who takes to the field no matter what the temperature. The Arctic Pro hunting boot features a stretch fit topline binding which is designed to fit snug around the calf in order to trap in heat. The reinforced instep, heel and achilles area along with the Bob-Tracker outsole provides excellent stability in almost any terrain. This fleece lined 17 inch boot is fully insulated with 8mm Neoprene plus an extra 2mm of thermal foam around the foot giving it a comfort rating down to -60 F°! 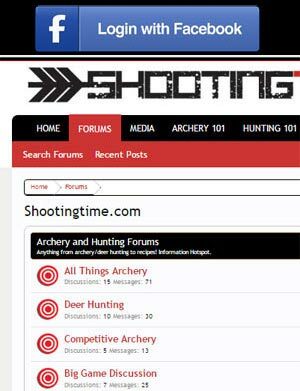 Let’s see what we here at shootingtime.com thought of these extreme weather boots. 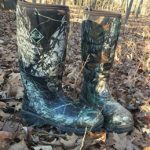 The look and feel of the Muck Boots Arctic Pro hunting boots is consistent with most all of the muck boots lineup; they are good looking, quality “knee high” hunting boots that deliver on comfort. The Muck Boots Arctic Pros definitely have a thicker (8mm neoprene) wall, but that doesn’t affect the comfort one bit. Like all the other Muck Boots that I have owned, the arctic pros fit around the foot great and provide support while delivering on comfort. The one feature of these boots that creates some “getting used to” is the stretch fit topline binding. This feature creates a tighter fit at the top of the boots and is designed to “trap” heat inside the boot which will allow you to stay comfortable longer in extreme weather. The only problem with this feature is getting your foot and pant leg into the boot without your pant leg getting caught. I found the best way of putting these boots on is to tuck your pant leg inside of your sock then slipping them in the boots. 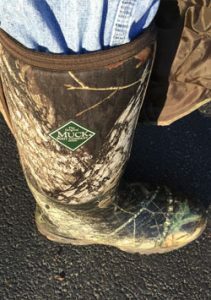 Perhaps a cinch top would be more of a convenient design in the future, but once you get used to putting the Muck Boots Arctic Pros on a few times, it’s no big deal. Although these boots are designed for the extreme cold, they are flexible and provide outstanding comfort in a variety of situations. Although the thicker neoprene wall provides more resistance to the heel flex of this boot, I didn’t have any issues while working the gas pedal of my truck. That being said, I wouldn’t wear these if you have to drive for an extended period of time, but the average 20-40 minute drive to the deer woods shouldn’t be an issue. The outsole of the Arctic Pro performs well in the mud, snow, and on obstacles like rocks and fallen timber. The design of the tread is one that provides traction while not containing mud and more importantly snow during your steps. They grip and release allowing for consistent footing throughout your travels. These are by far not the most aggressive outsoles we have ran across, but they are designed that way for a reason. We think the Muck Boot Company did extremely well with the design of this boot’s outsole. Here we go again with temperature ratings. 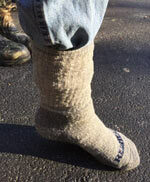 We have read claims that these boots will keep your feet warm in -50°F temperatures….. not true. This crazy temperature rating is a reflection of the one thing that is wrong with the boot industry; there is no standardized temperature rating system. It is pretty much “what do we have to “rate” these boots at so they look better than the competitor’s product on the shelf.” We understand this unfortunate situation that boot companies have to deal with so we just disregard temperature ratings to a certain extent and try them out for ourselves. From my experiences, these boots are good for extended stays when the temperature gets down into the teens. When the temperature dropped down into the single digits (fahrenheit), the 3 hour timer was ticking. After about 3 hours, the heat I had and built up from the walk to the stand was exhausted and the Arctic Pro’s ability to contain self generated heat started to fail. Keep in mind this is for a treestand sit; if you are doing a nonstop activity in these boots, like shoveling snow, you should be good all night. These are good boots and we will continue to use them when the weather dips down into the 15°-30°F range. They are comfortable, provide a great deal of warmth, heat retention and are waterproof throughout. The flexibility and outsole of the Arctic Pro are great for tackling a variety of terrain including climbing up into a treestand. Although the stated temperature range is purely fiction, these boots are perfect for when winter first sets in. 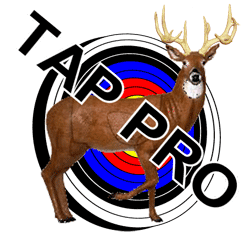 For more information on the Muck Boots Arctic Pro hunting boots, visit the Muck Boot Company website.